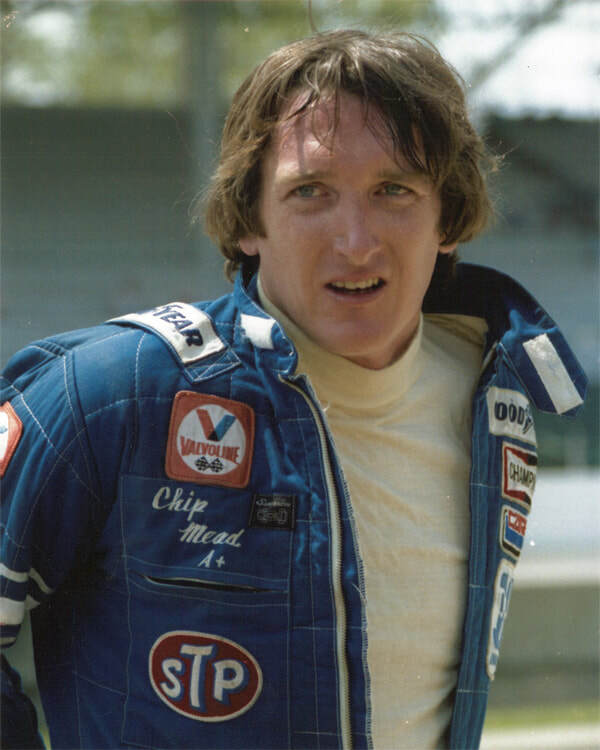 Harry Talbott ‘Chip’ Mead was born on March 17, 1950 in Dayton, Ohio. It can be said his life would have two major ingredients: determination and speed. Like most racers of the current era, Mead started out racing karts, back when the sport was in its infancy. Luckily, his native state was a hotbed for the new sport. After karting came Formula Vee, an open-wheeled training ground that has changed very little over the past 50 years and emphasizes raw driving talent and setups using stock Volkswagen components. The low-horsepower VW engines spotlight smooth driving and race craft. Chip’s mother, Mary Mead, would find some trouble with that endless passion. “Whenever I tried to dissuade him from racing other than on road tracks, he just said if he was killed, at least he would die happy. Not much consolation for a Mother!" After Formula Vee, Mead’s stock started to rise. 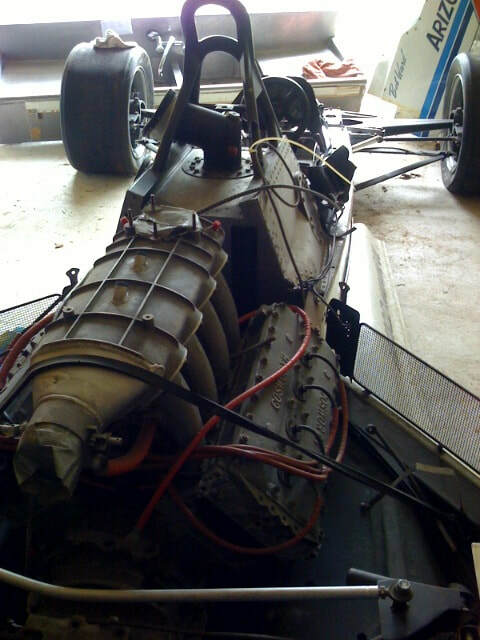 He raced Formula Ford, Formula Super Vee, Formula B and advanced to Formula Atlantic with Doug Shierson Racing. At the time, Atlantics had talent coming in to battle from both sides of the pond. In his time in the series from 1974-1978, Mead raced against such notable drivers as Bertil Roos, Price Cobb, Didier Pironi, Jacques Laffite, Keke Rosberg, James Hunt and Bill Brack. 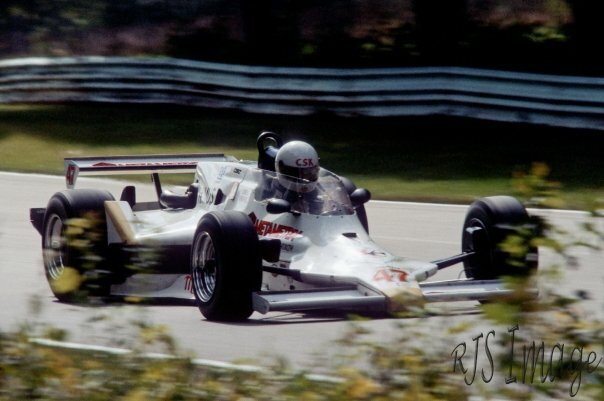 In 1974, Chip did a stint in Formula 2 in Europe for DSR in a Chevron B27-Ford, using the same car in the Canadian Formula Atlantic series to finish ninth overall in the championship. 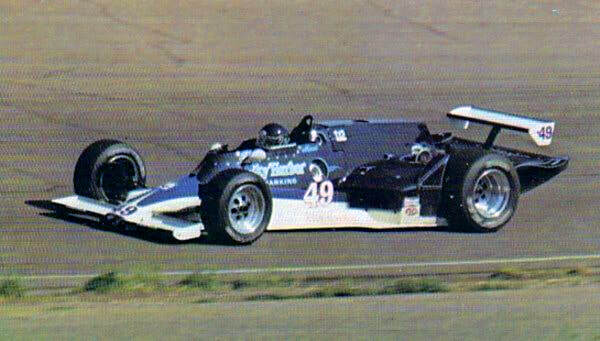 For 1975, Shierson’s team switched to a March 75B. In five races, Mead picked up 16 points., good enough for 16th overall in the CASC Player’s Challenge Series. 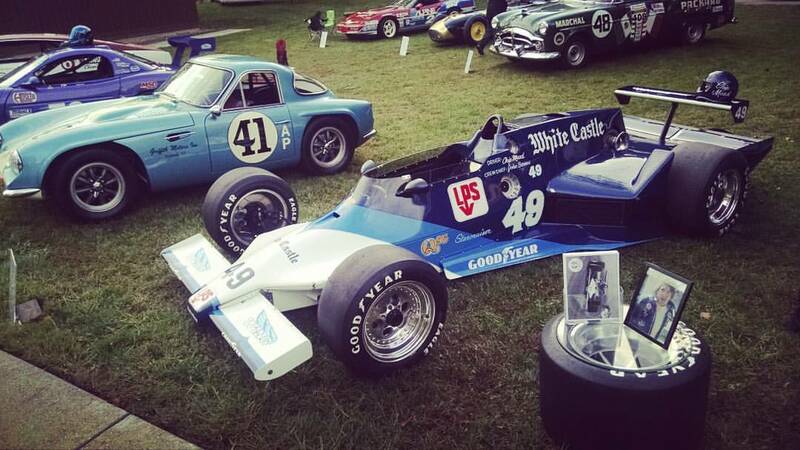 Mead also competed in the 1975 SCCA National Championship Runoffs, held at Road Atlanta. After starting ninth, Chip brought the March home fifth in what would be his one-and-only SCCA Runoffs appearance. 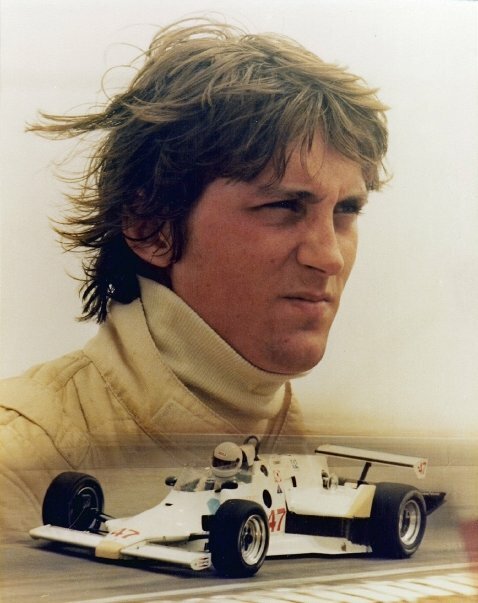 Shierson’s team stayed with the ’75 March for 1976, where Mead scored 8 points in eight races of the CASC Player’s Challenge Series, placing 25th overall. 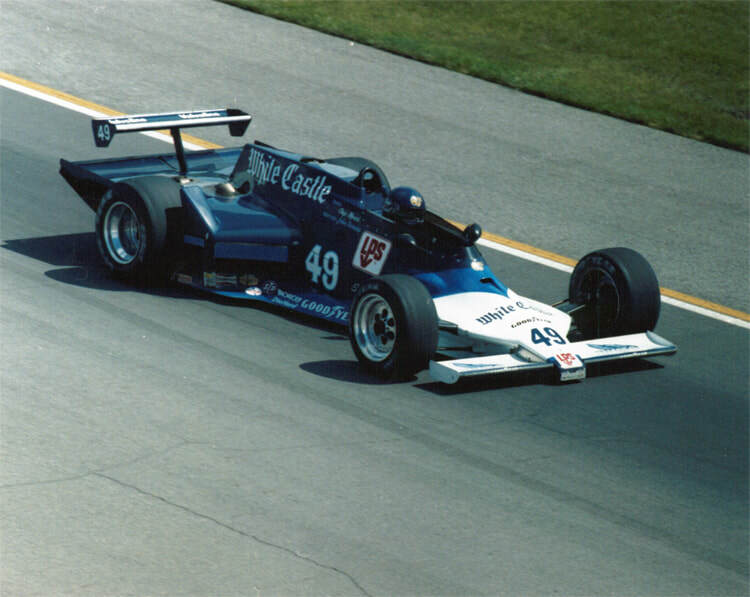 Chip also scored 6 points for Cavanaugh Racing in the IMSA Formula Atlantic championship, where he piloted a Ralt RT1. 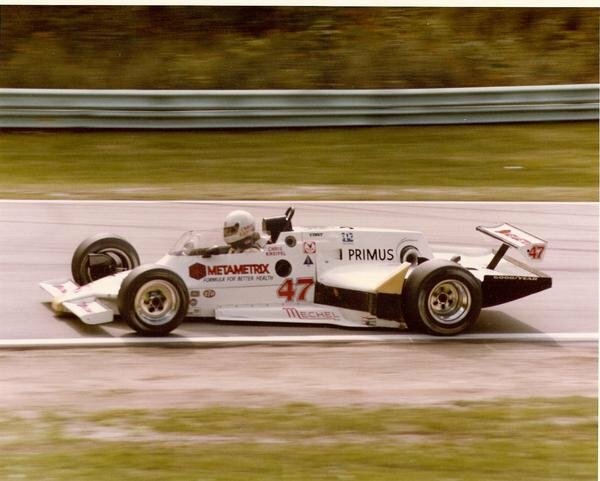 The 1977 racing season proved to be a diverse year for Mead, as he challenged in the Canadian Formula Atlantic Championship for the Pierre’s Motors squad, placing seventh in the championship, again in a Ralt RT1. Chip also ran one USAC Mini-Indy series, finishing 11th at Phoenix after starting 25th. As well, he raced in two SCCA Can-Am rounds at Road America and Mosport, three IMSA GT races and one SCCA Trans-Am race. 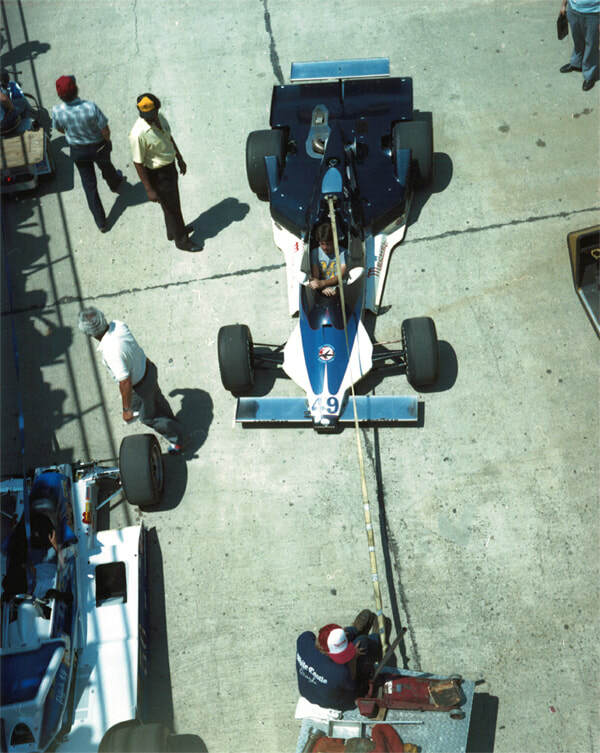 For 1978, Chip again partnered with the Pierre’s Motors team, contesting six rounds of the seven-race CASC/SCCA Labatt Challenge Series in one of the team’s Ralt RT1 chassis, finishing eleventh overall. 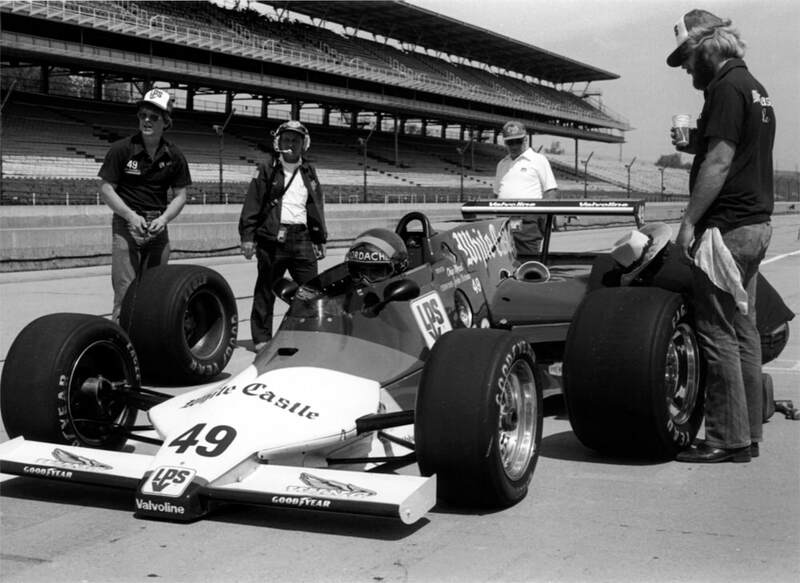 His teammate that season was Bobby Rahal, who competed in all seven races and placed fifth. Chip had a light season in 1979, only racing at Sebring and Mid-Ohio in the IMSA GT series. Chip and teammates John Higgins and Jim Trueman brought the Barrick Motor Racing Porsche 911 home 12th at Sebring in a field of 76 cars. He teamed up with John Mortensen at Mid-Ohio, placing 13th in their shared #89 Porsche 911 entry. 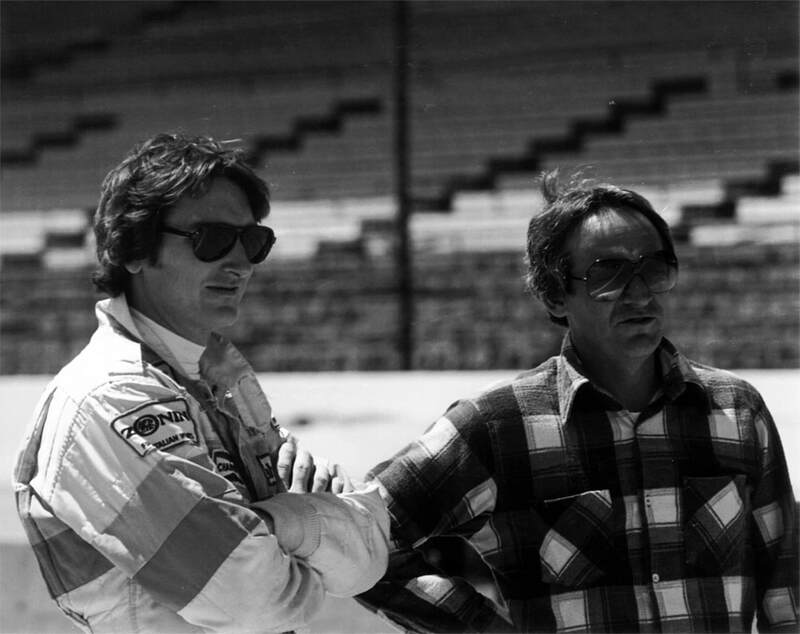 The quest to go Indycar racing started earlier, in July 1980. Mead was racing for Jim Trueman’s Red Roof Inn team at the Mid-Ohio round of the SCCA Formula Atlantic Series. Mead’s cousin, Jamie Priest, had just moved to Columbus, Ohio from Connecticut and visited Chip at the track. By then, Mead was 30-years-old and on the fence about going all-out to be a professional racer or sticking to that of an amateur. Priest and Mead started tracking down potential backers in two areas; with Priest in Ohio and Mead in New York City. Mead’s story of finding funds began in March, just two months before Indy. Selecting the All-American Racers Eagle chassis came about through word of mouth. 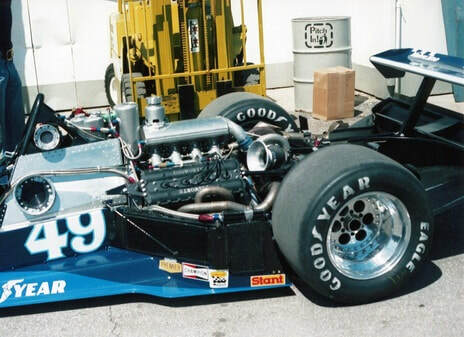 Chassis #8101 was originally built for Tom Sneva to be an in-house AAR team, but his sponsorship package fell through and he was forced to find another ride. The 8100 series of Eagles utilized AAR designer John Ward’s ‘Boundary Layer Adhesion Technology,’ which focused on gathering the air that bypassed under the car into a set of tunnels molded into the undertray, which in effect created a great deal of downforce in the rear of the car. While Mead was picking up the pieces to make a race team, Priest was still tracking down sponsors to make a racing program come to light: ‘I said if I can raise some money how much would we need? Chip said find some backing and I will let you know if we have enough. I started in Columbus with Wendy’s, Red Lobster, and Red Roof Inns. These were all companies that were headquartered in the area. 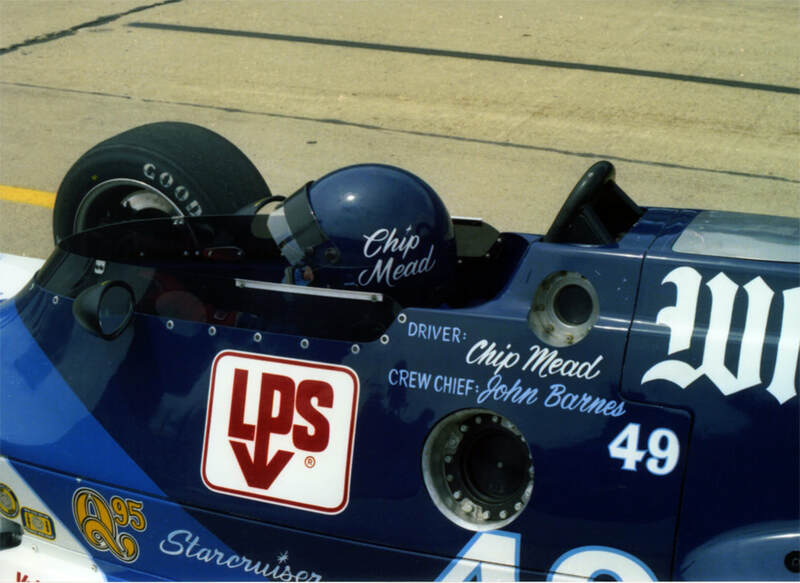 The team, with Mead as driver/owner, called themselves Chip Mead Racing, but was also known as Ohio Racing Associates. With the money they had obtained from their unique sponsorship package, Mead purchased the car for roughly $50,000, but only had enough money for the rolling chassis. According to Priest, John Barnes was the chief mechanic attached to it. Dan Gurney was already assigned the #49 for the car, so the number, chassis and chief mechanic were already in place. 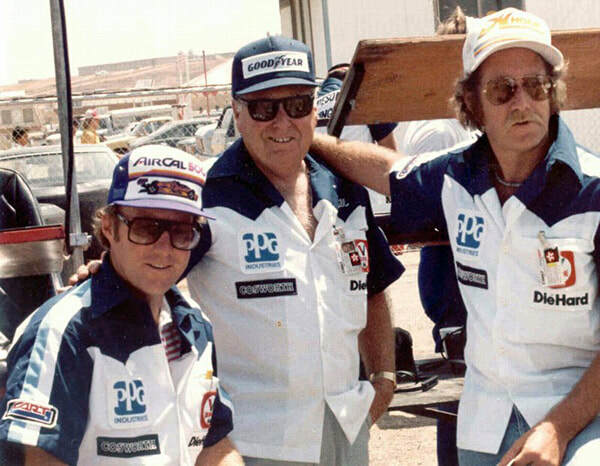 Crew members who helped work on the car included John O’Gara, Harry Porter and Clint Brawner. 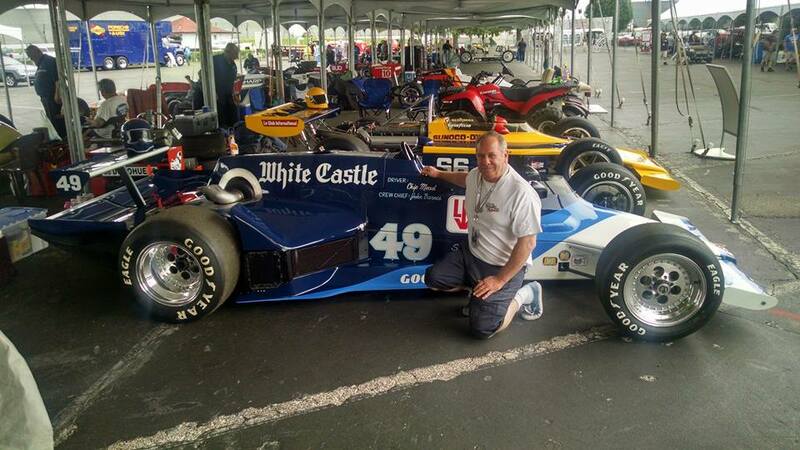 With White Castle’s dark blue, powder blue and white colors on the #49 machine, Mead passed his rookie test on Tuesday, May 5 along with fellow Indy first-timers Kevin Cogan driving the #32 Jerry O’Connell Racing Phoenix-Cosworth, Harry MacDonald driving the #45 Armstrong Mould Lola-Cosworth and Jim Buick in his former Fletcher Racing-modified #86 Eagle-Chevy. On Thursday, May 7, Mead set his personal fast lap, timing in at 182.890 mph while Mario Andretti topped the speed charts at 195.143 mph. It was early in the month and the young team was without feedback from AAR’s lead driver, Mike Mosley, who didn’t turn a wheel until that Friday, when his #48 Pepsi Challenger-backed Eagle-Chevy clicked off a 195.249 mph lap. Later that day, the qualifying draw was made for that weekends first-day qualifying session, and the #49 car was picked 18th in the 57-car qualifying order. When Saturday, May 9 came around, several cars were not able to get up to speed for their qualifying attempts, meaning car #49 would be the eighth official car to make an attempt, just after fellow Ohio-native Tim Richmond, who clocked in a four-lap average of 185.309. At 5:01 p.m., the LPS/WING/Q95/White Castle/Starcruiser Eagle-Cosworth took to the track. The 31-year-old Mead took two timed laps before being waved off by his crew. Lap speeds of 181.378 and 182.113 were not going to get the job done. This was further backed up when the next car came out at 5:15 p.m. Bill Alsup, driving the #7 Penske-Cosworth, pulled off a four-lap average of 193.154. Saturday, May 16 brought another failed qualifying run for Chip and the team. At 3:32 p.m., the blue-and-white Eagle again took to the famed 2.5-mile track but pulled off after taking the green, the result of the car smoking. It was strike number two. In those days at Indianapolis, you were allowed three qualifying attempts per car per driver. It would all come down to the final day of qualifying, known as ‘Bump Day’ for those drivers bumping their times and others in-and-out of the 33-car field. Despite the pressure, Mead was himself with the fans. ‘Chip was always the nicest guy. Once he met you he always seemed to remember you,’ said fan David Ayers. ‘We would see him at Indy and he would look over and wave, when he wasn't busy with the car he would go out of his way to come over and say "hi, good to see you again." 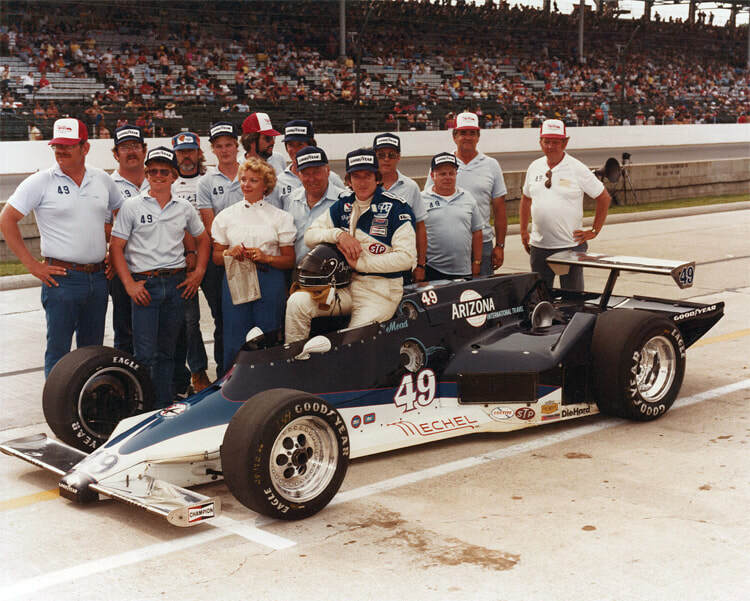 On the morning of Sunday, May 17, 1981, the Ohio Racing Associates team was clocked at 184.809 mph in practice, second quickest to the already qualified Bill Whittington. Third quickest was the #64 Jet Engineering Eagle-Chevy of Steve Chassey in chassis #8102, nearly one mph slower than the #49 Cosworth-powered entry. At 12:56 p.m. Mead took to the track for his final qualifying attempt. Lap one was the fastest that Mead had gone all month, 187.266 mph. Lap two even quicker, 187.970. A week later, Mike Mosley took AAR’s factory team oval chassis, #8105, to a famous win at the Milwaukee Mile. Mosley started 26th on a promoter’s option and stormed away with the victory, leading the last 45 laps in the 150-lap event. It would be a glimmer of light in the 8100 series of Eagle chassis and for stock block engines, neither of which would ever go on to win a professional race again. 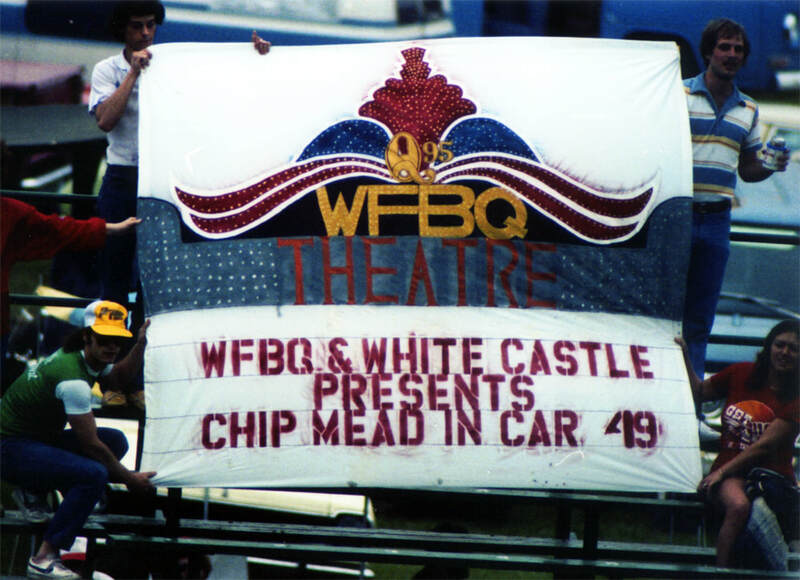 The next race for the Chip Mead Racing team was the Van Scoy 500 at Pocono, Pennsylvania on June 14, 1981. Tee Creations was picked up as the main sponsor for the #49 machine, which started 13th in the 29-car field after rain cancelled qualifying and the grid was set by a draw. 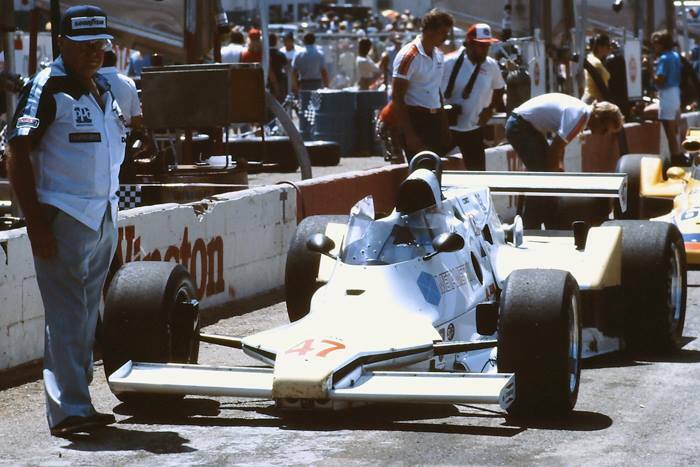 The team’s next outing came at the July 25, 1981 Norton Michigan 500, held at Roger Penske’s Michigan International Speedway. 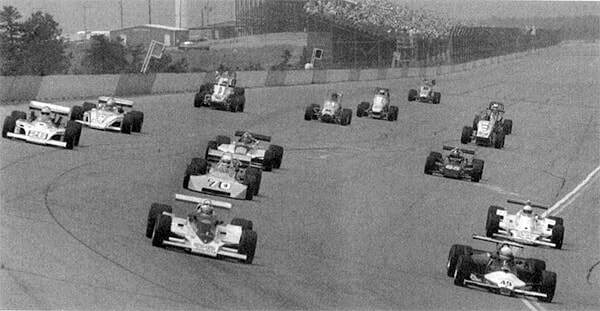 A total of 37 cars took the green flag for the 250-lap affair, with Tom Sneva’s Blue Moly March-Cosworth on pole position. Mead qualified the #49 entry 29th. 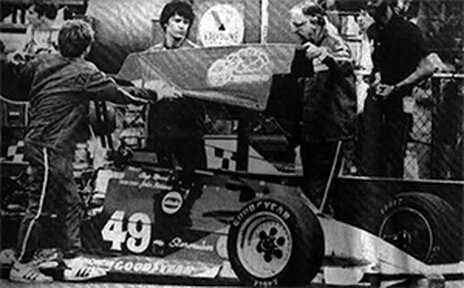 Carrying the sponsor banner of ‘Space Racing’ for the weekend; he completed 70 laps before engine failure sidelined the entry. 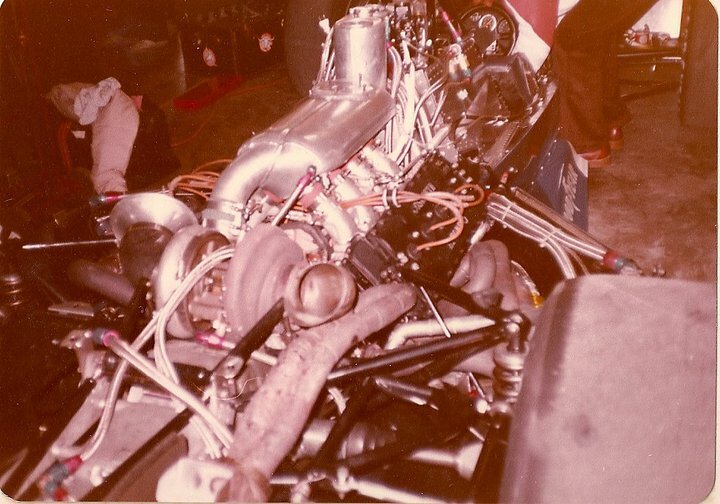 The engine in Mead’s machine was one of 16 to fail on that afternoon, best remembered for Pancho Carter’s one-and-only win and for Herm Johnson’s massive pit fire, which caused great destruction in the Menard pit area, so much so that it halted the race for some time. A two-month break saw the team skip the Riverside and Milwaukee CART rounds. 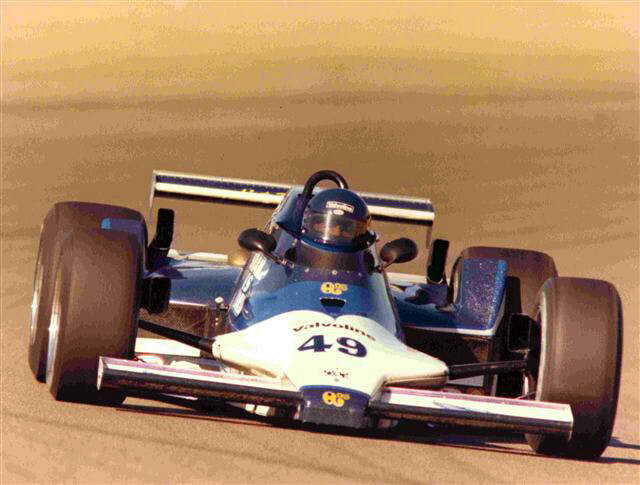 At Riverside, Geoff Brabham took Gurney’s #48 Pepsi Challenger road race chassis, #8103, and captured pole-position. After a faulty pit stop, a wheel was put on poorly and came off on-track, halting the Australian’s day. Mead’s car was next seen at Michigan International Speedway for the Detroit News Grand Prix, but in use for another team. 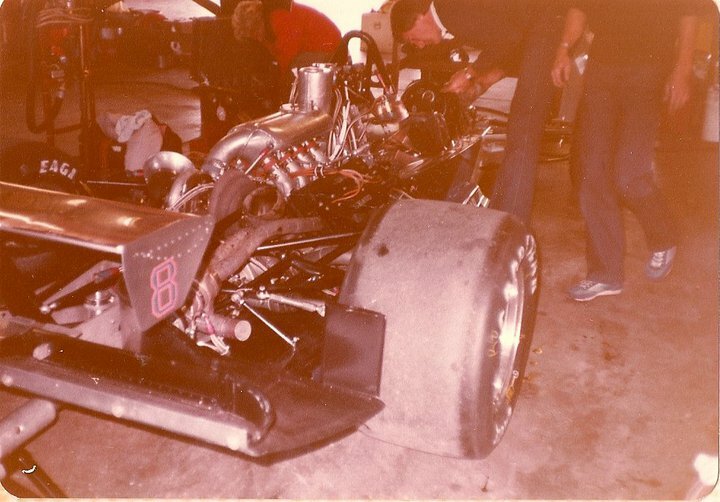 Bobby Hillin’s Longhorn Racing team had been having issues with their LR-2 chassis and wanted to test out an Eagle-Cosworth for driver Al Unser. 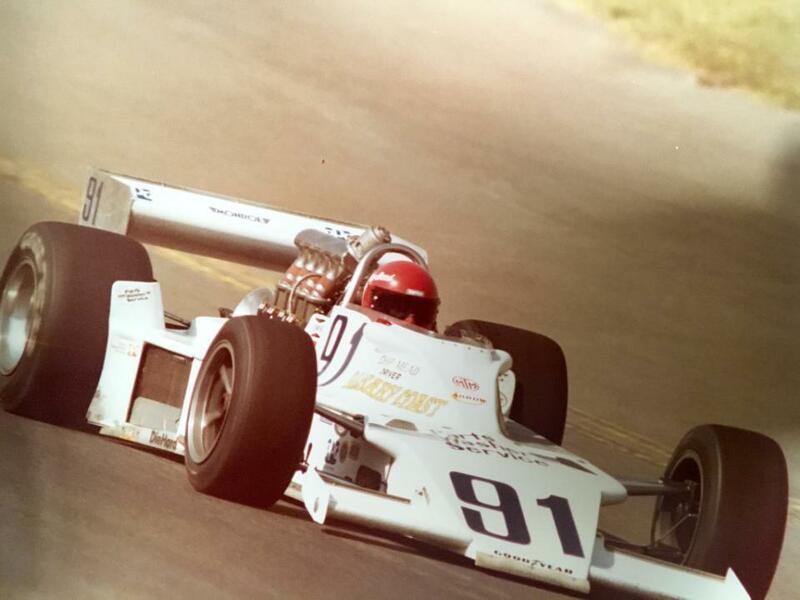 A deal was struck for Longhorn to use #8101 for the weekend, renumbered #8 with Unser behind the wheel. Mead’s team would crew Longhorn’s LR-2, with Steve Krisiloff behind the wheel. 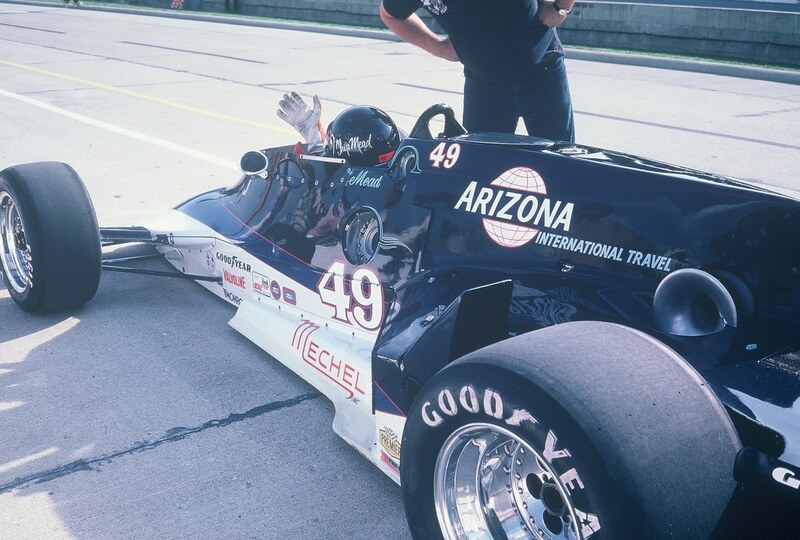 In the race, ‘Big Al’ would move up from tenth starting-position to lead four laps and finish third with the Eagle, just behind winner Rick Mears and second-place Mario Andretti. Krisiloff didn’t fare well in the LR-2, mired back in 17th position, 12 laps behind Unser and the borrowed Eagle-Cosworth. Mead’s team skipped the Watkins Glen and Mexico City rounds of action. At Watkins Glen, Rocky Moran, a rookie on the CART circuit, took Gurney’s #48 Pepsi Challenger #8103 to the point and led 21 laps before late race pit issues saw the Chevy-powered machine sputter to a halt, dry of fuel with five laps to go. Moran would be classified sixth in the 24-car race, one position behind Steve Chassey in Jet Engineering’s Eagle-Chevy #8102. The season-ending Miller High Life 150 on October 31 at Phoenix International Raceway would start out on a high note for Mead’s team, with the Tom Hess/Sharp Ford-sponsored car qualifying eighth in the 24-car CART field. A total of 37 cars showed up to qualify that weekend, and 13 went home empty handed. Mead’s fine qualifying effort is also indicated by those elite drivers who started behind him when the green flag dropped in the desert that Sunday: Pancho Carter, a race winner already that season; Vern Schuppan, who finished third at Indianapolis and most notably, Mike Mosley, a race winner in AAR’s factory car. Mosley, like he did three other times that season, was the first car out of competition on lap eleven with gearbox failure. 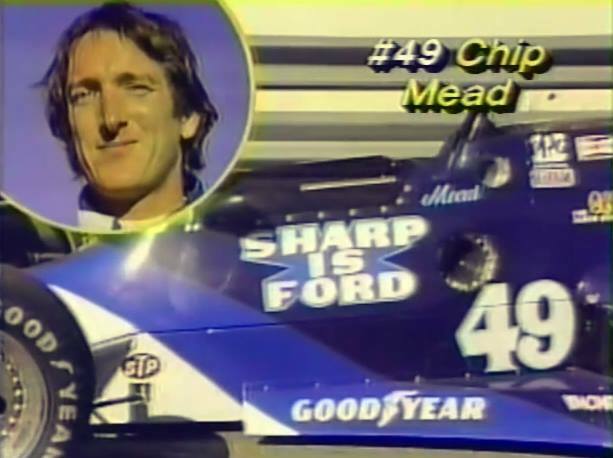 Mead and his Sharp Ford-sponsored Eagle soldiered on, placing 14th, eight-laps behind Tom Sneva’s Texaco Star when the sun set that afternoon. The season ended with Chip tied for 44th-place in CART points with Johnny Parsons, Jr., Dennis Firestone, Jerry Sneva and Phil Threshie for his two CART championship starts at Michigan and Phoenix. 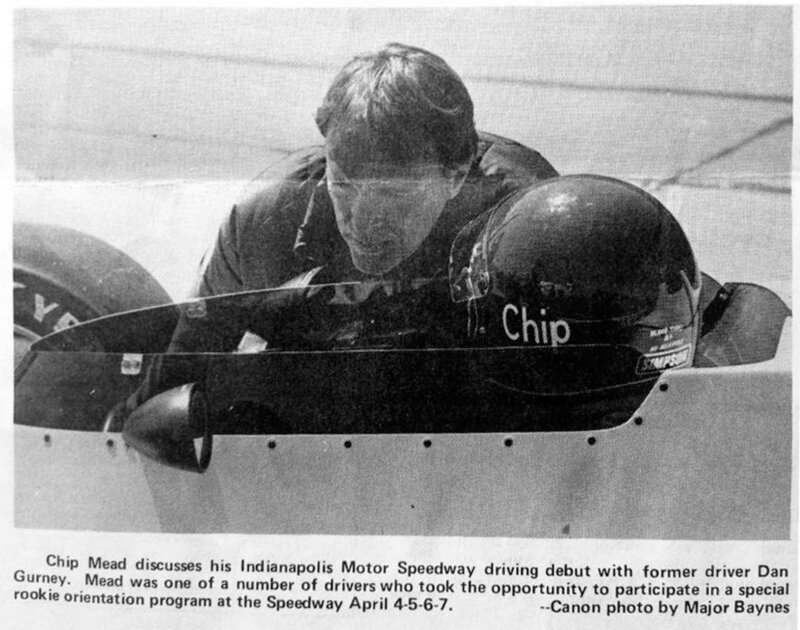 After Indianapolis in 1981, Chip Mead was introduced to Bill Jamieson from Wickenburg, Arizona. Jamieson had been around the sport for a while with Bob Fletcher’s Cobre Tire team and was looking to start up his own team for 1982. William S. ‘Bill’ Jamieson was born in 1918 in Prescott, Arizona. A graduate of Phoenix Union High School, Jamieson went on to study civil engineering at the University of Arizona. He joined the United States Navy and was a pilot in the Pacific during World War II, flying PBY ‘Patrol Boats’ and was part of the battle of Midway. In 1945, Bill suffered the loss of both of his legs while serving as Flight Deck Officer on the aircraft carrier Bon Homme Richard. He retired as a Lt. Commander and started his post-war life as a businessman in his native Arizona and California. Despite his wartime injury, Bill Jamieson was going to make the most of his life. Jamieson was the founder, chairman and chief executive of several busineses, including E and J Travel, Golden Gate Airways, Greyhound International, Vaca Valley Bus Line in Northern California and Arizona International Travel in Phoenix and Scottsdale. Bill flew his own planes and was an active boatman and deep sea fisherman. In Wickenburg, Arizona, where Jamieson would call home in his later years, he was one of the founders of the Los Caballeros Golf Club, sponsored the Desert Caballeros Western Museum and was active in starting up the Wickenburg Municipal Airport and the dedication of Wellik Field. 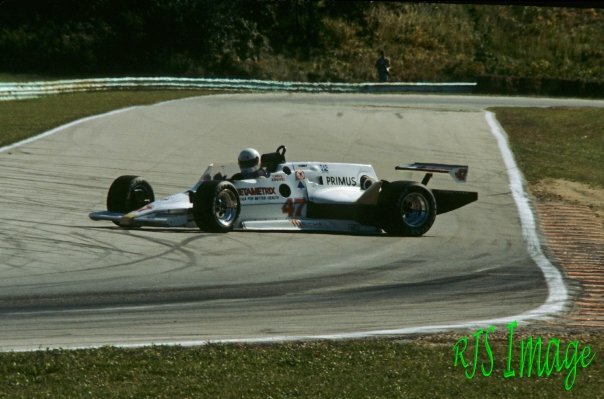 So it was in 1981 that Bill Jamieson got the itch to go Indycar racing. 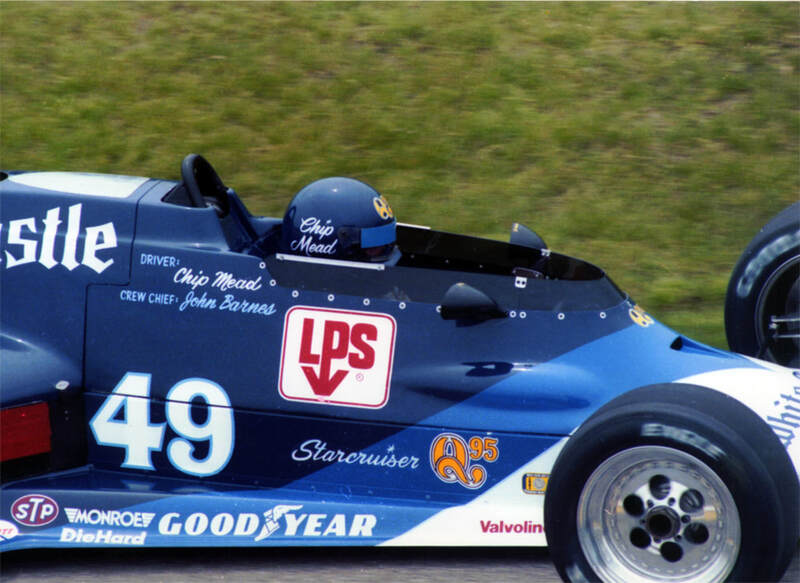 Al Unser was a mutual friend, and knew of Mead’s small team. Jamieson purchased #8101 and Mead’s team over the winter of 1981-1982. The team would be rebranded Jamieson Racing, with the car’s paint scheme kept in a sleek blue and white with flowing pinstripes with #49. John Barnes was retained as crew chief with Mead driver. Engines were again maintained by Ed Pink. 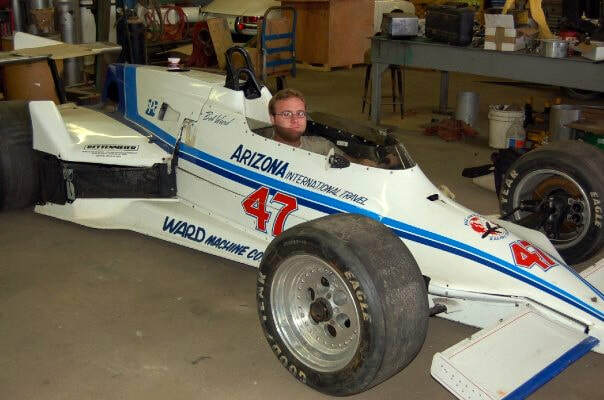 The first run for Jamieson Racing was on March 28, 1982 for the Kraco Car Stereo 150 at Phoenix International Raceway, the track that Jamieson helped save just a few years earlier. 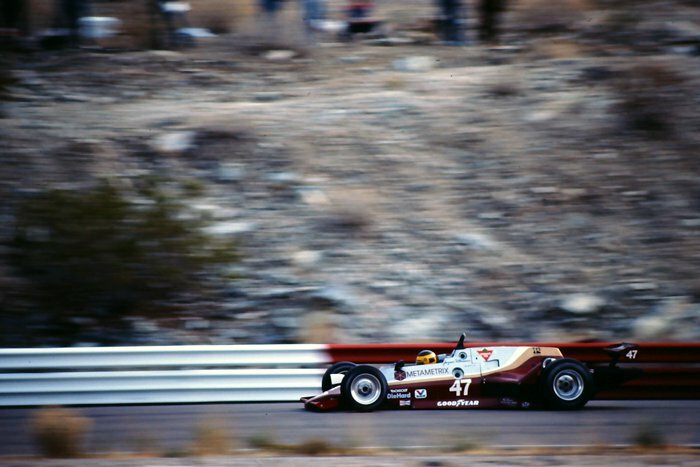 Mead qualified where he left off at Phoenix the year before, in 14th place; just ahead of Bobby Rahal in Jim Trueman’s Red Roof Inns March 82C. Thirty-four cars tried qualifying for the 22 starting positions. 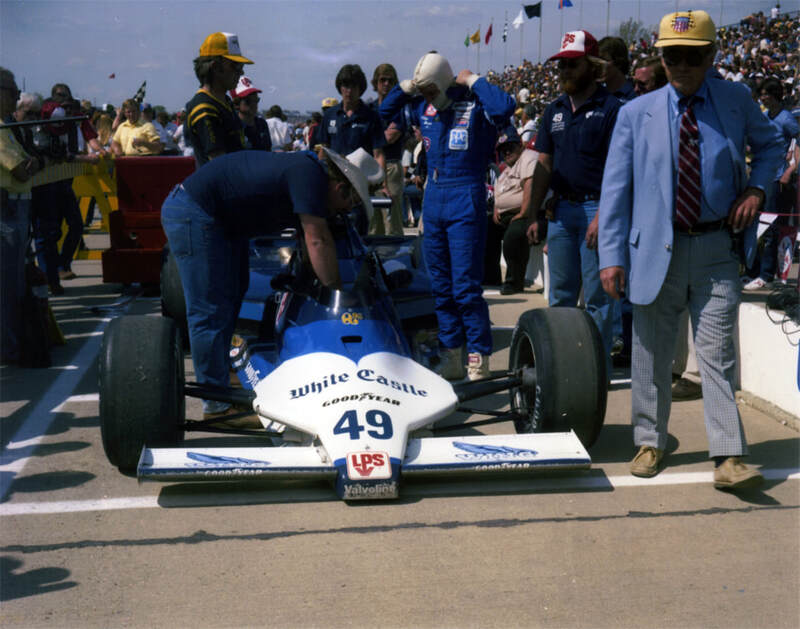 Mead would fly the Eagle banner for the day, as fellow ’81 Eagle drivers Herm Johnson and Dennis Firestone were out of the running by lap 20 with engine issues. Firestone had started ninth and Johnson 16th. Meanwhile, the Jamieson crew kept the Sky Harbor Parking-sponsored machine in the running all day, finishing ninth. 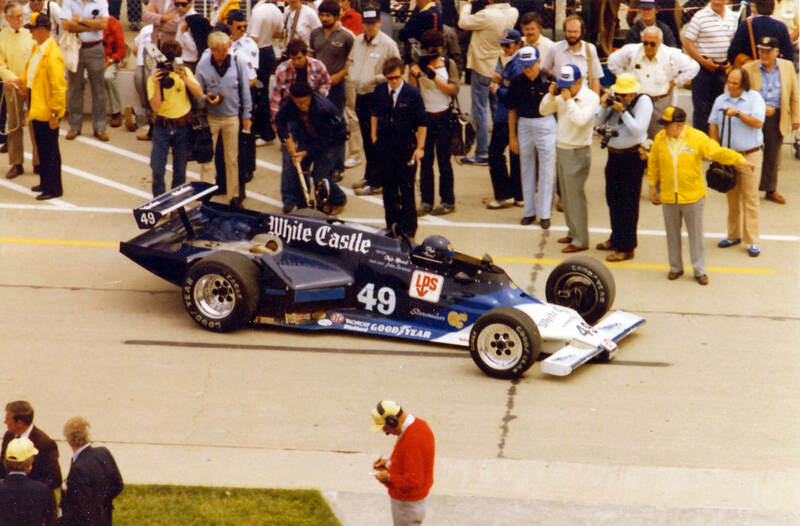 Prior to Indianapolis, the team went to the Speedway with the car mocked up in a White Castle livery for a photo shoot, trying to entice the restaurant chain back for another year. The Dayton firm respectfully declined. Thus, Bill Jamieson’s company, Arizona International Travel, would be the headline sponsor on the #49 entry. 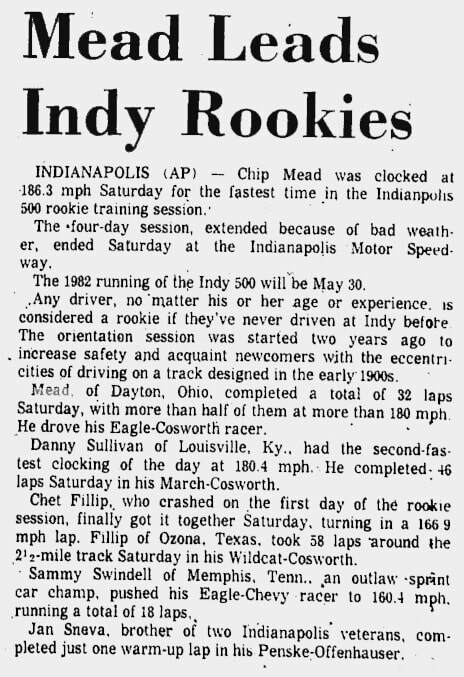 With his experience on the circuit, Mead, along with Phil Caliva, Herm Johnson, Roger Mears and Steve Chassey were all not required by USAC to take a refresher test to begin practice at the Speedway. 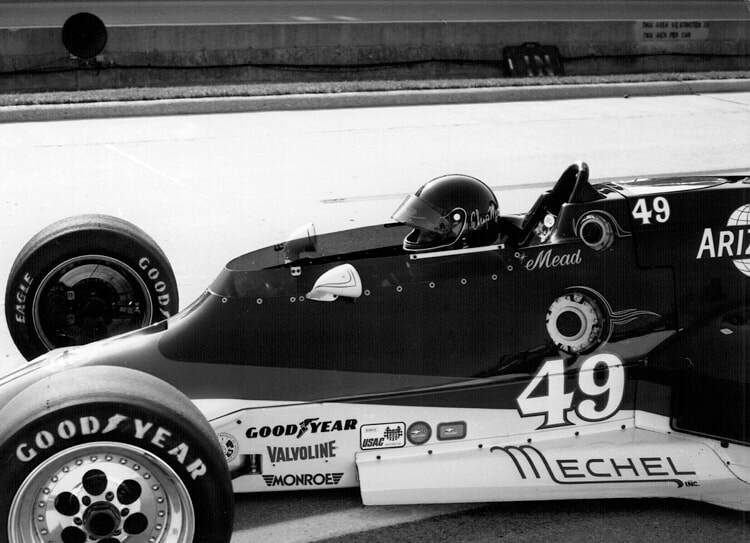 The first day of practice, Saturday, May 8, 1982, saw the #49 Jamieson Racing Team entry clock in at 186.1 mph, second quickest on the day to Roger Mears, who pulled out a 190.4 in his #31 Machinist Union Penske-Cosworth. On Sunday, a full field of 38 cars took to the track to tune their cars up for the following weekend’s qualifying sessions. 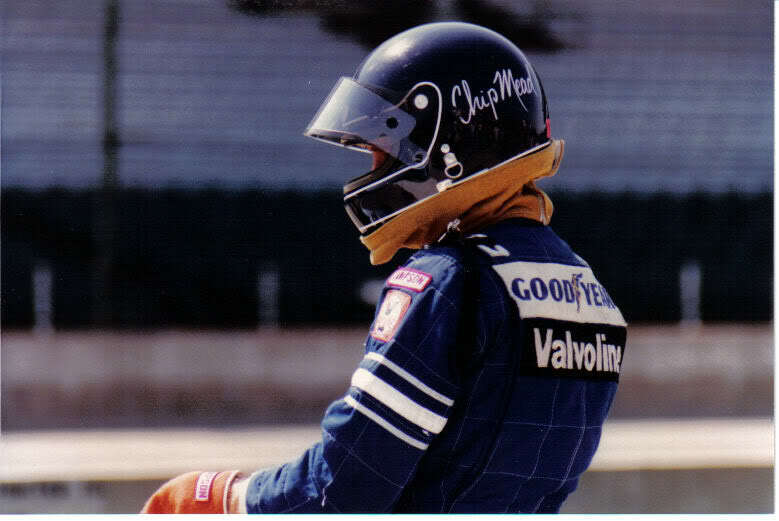 Rick Mears set a new lap record in his Penske-Cosworth, blistering the track record with a 203.620 mph lap. Thirteenth-quickest was Mead, pulling out a 189.6 mph lap, his quickest lap at the track. 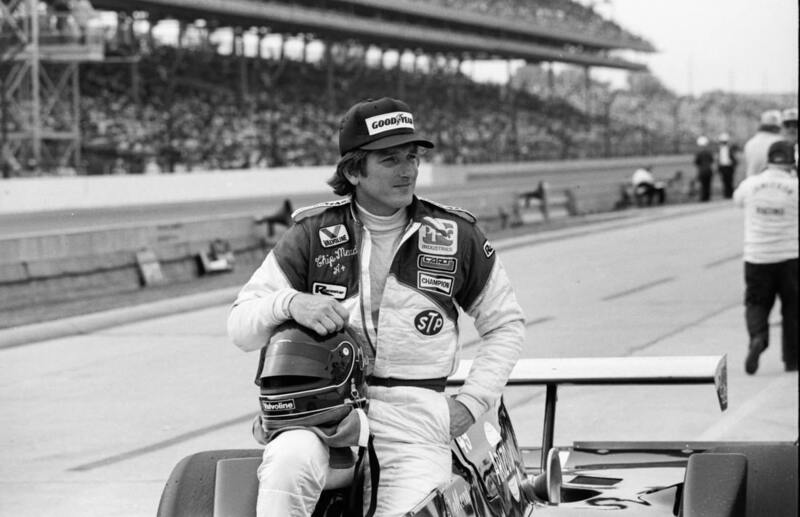 Monday, May 10, proved to be another mid-189 mph day for Mead, a speed he shared with Gordon Johncock and Bill Vukovich, Jr.. Twenty-days later, Johncock would take home his second Borg Warner trophy, piloting his #20 STP Wildcat-Cosworth to the then-closest finish in Indianapolis 500 history. 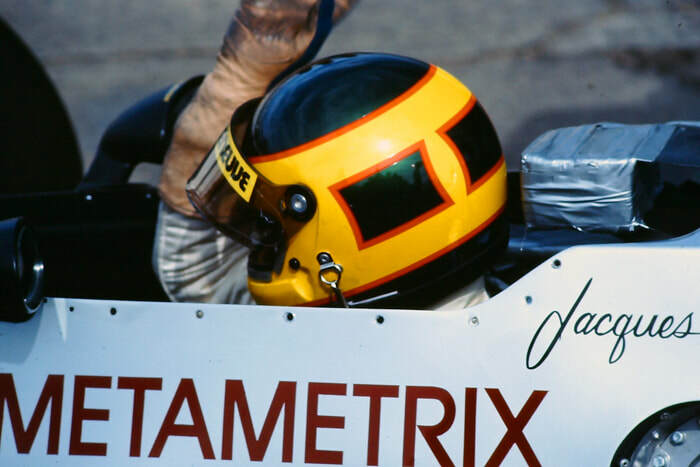 By the time Thursday, May 13, came around, Mead and the Jamieson Racing Team had Eagle #8101 up to 193 mph, a speed set by four other rookies that day, Roger Mears, Jim Hickman, Chip Ganassi and Desire Wilson. 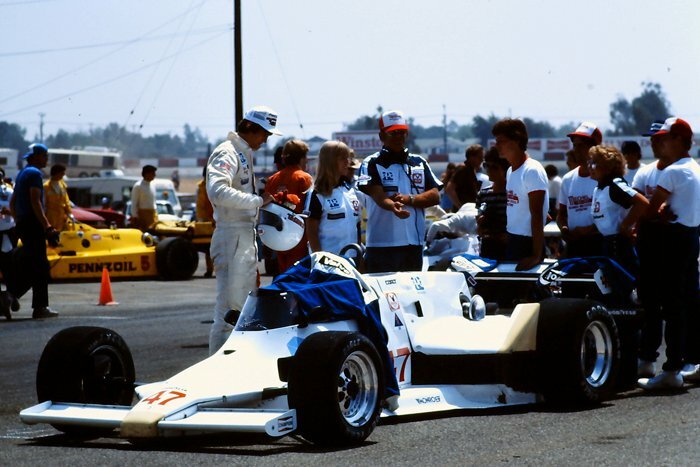 Wilson, running for Theodore Racing, was also driving a 1981 Eagle-Cosworth. Thirty-three cars timed in over 190 mph for the day, showcasing how fast things had come since the year prior when 186 mph was good enough for 33rd. That Friday, the #49 machine drew the 63rd spot in the following day’s qualifying line between the #99 of Vern Schuppan and the #69 of Jerry Sneva. Earlier that day, Rick Mears and Kevin Cogan went back-and-forth setting new track records, with Mears finally topping out at 208.7 mph in his #1 Gould Charge Penske-Ford. Penske was granted permission by Cosworth earlier in the month to call their team’s Cosworth engines ‘Fords’ for that year’s 500. In Saturday morning’s warm-up session, Chip set the seventeenth-fastest time behind Bobby Rahal’s #19T Red Roof Inns March-Cosworth and in front of Gordon Smiley’s #35 Intermedics March-Cosworth, while Mears again set the time to beat. At 11:03 a.m., Kevin Cogan set a new official qualifying track record of 204.082 mph. His glory was fleeting, as teammate Rick Mears went 2.5 seconds faster in the 10-mile attempt, coming in at 207.004 mph. Mears would go on to capture the pole. At 12:15 p.m., tragedy struck the famed facility. 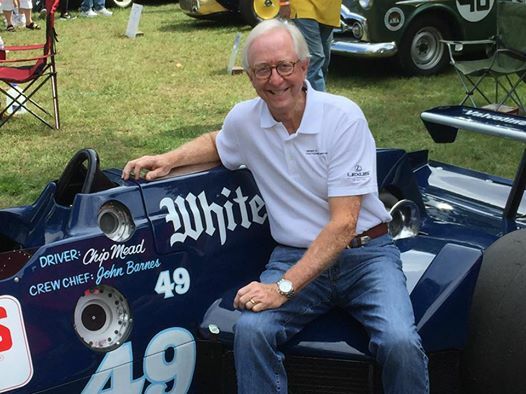 Gordon Smiley of Grapevine, Texas died when his #35 Intermedics Innovator March-Cosworth hit head-on in turn 3 during his second warm-up lap. Entering the corner, the back end of the March stepped out, Smiley corrected but the red-and-white machine darted straight towards the wall like a bullet. It was a gruesome accident. Smiley, 36, was attempting to make his third Indianapolis 500. The track did not open for qualifications again until 3:17 p.m. Seventy-two minutes later; Mead entered the track for his qualifying attempt, the twentieth car to qualify. In doing so, Chip pulled out his best times of the month, averaging 193.819 over the four-lap run, nearly eclipsing 195 on his first lap. Out of the 31 cars to make a qualifying attempt that day, the #49 machine ranked 20th, last of the cars from the first day of qualifying to accept their speed. Seven days later, Mead still clung on to the 20th position, with only 31st place driver Bill Alsup slower in the then-31 car field. At 12:45 p.m. on Sunday, May 23, the field was full for the 66th Annual Indianapolis 500 race. Bumping would begin whenever a car clocked in faster than a car already in the field. At 1:59 p.m., Tom Bigelow in HBK Racing’s #27 Eagle-Chevy pulled off a four-lap average of 194.874 mph, bumping Alsup. The #49 Jamieson Racing Team entry now sat on the bubble. Any car that could crack off a faster qualifying run would bump Mead from the field. 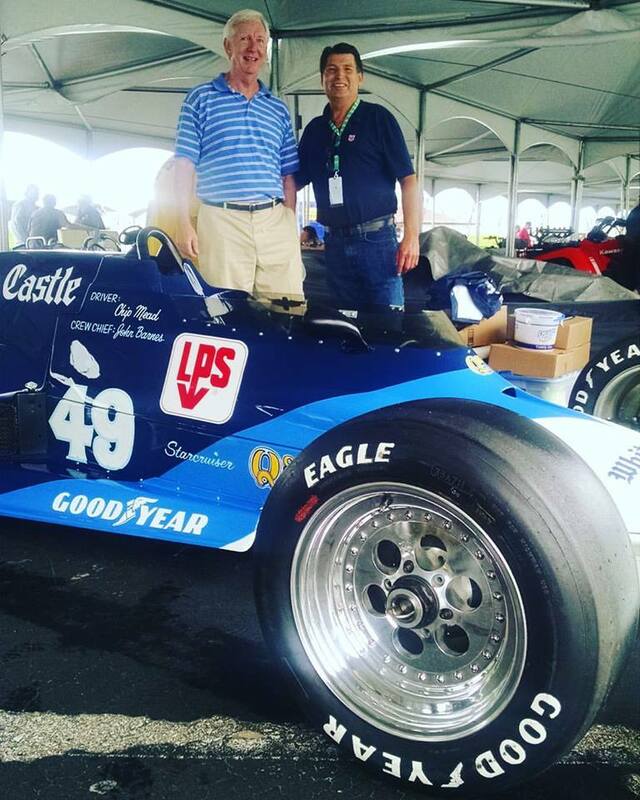 At 4:03 p.m., Gary Bettenhausen did just that. Driving for legendary owner Lindsey Hopkins, Bettenhausen pulled off a four-lap run of 195.673 mph, officially bumping the #49 entry from the race. Unlike today’s qualifying rules, where a bumped car can try to requalify their entry into the race, it was game over for Mead and the Jamieson team. Rules dictated that once an entry was qualified and bumped, it could only then be requalified by another driver. That option wasn’t in the cards for the small team. When the track closed at 6:00 p.m., the field was set. 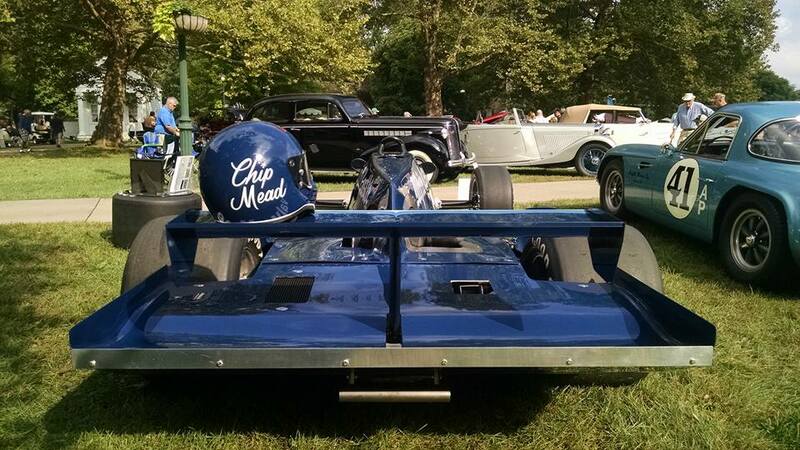 Only two cars, Alsup and Mead, had been bumped from the field, the fewest since 1974. As the last man bumped from the field, Mead was considered the first-alternate. Should something happen to one of the qualified cars in the next seven days where a car would be too damaged to race, Mead and the #49 machine would start in 33rd-place. The only on-track session for the qualified cars came on Carb Day, Thursday May 27. It was a practice day for qualified cars and first-alternate, though the #49 machine never took to the track. Rain shortened the session, meaning that once all the cars were safely put away; there would be no shot in making the race for the #49 machine. On race day, a four-car pileup occurred before the green flag had flown. The famous incident, where Kevin Cogan’s Penske chassis spun into AJ Foyt’s Coyote-red March is something of legend, with ‘Super Tex’ Foyt swearing up a storm on national television after colliding with the Californian. 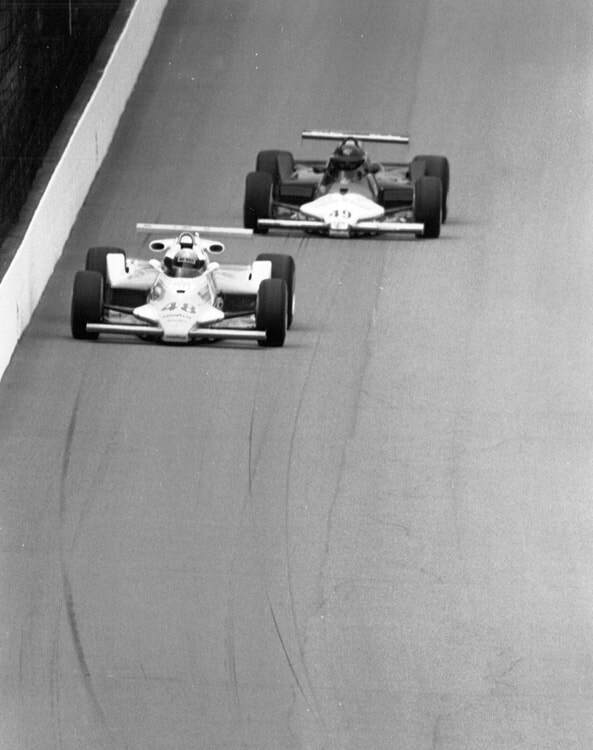 Foyt continued on, but the race was red-flagged, with Cogan, Mario Andretti, Roger Mears and Dale Whittington out of the race before the race even was officially started. 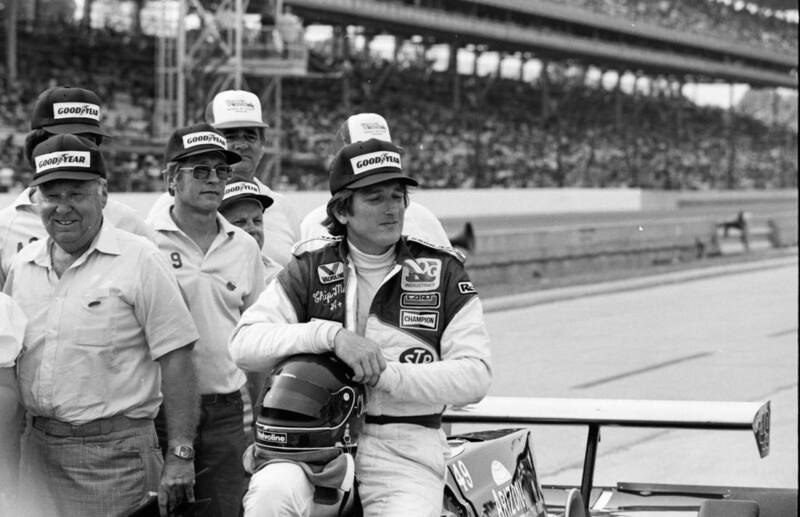 Had it been twenty years earlier, the rules would have dictated that the first-alternate would have been given the opportunity to start from the rear of the field given the accident, but 1982 rules stated that the field was set after Carb Day. The then-32-year-old would focus the rest of his racing career on IMSA Camel GT and IMSA Camel Light competition, with occasional starts in 1983 for the Leader Cards team in CART and for Dennis Eade's Comprep Formula Atlantic team in the mid-80s. For the 1983 Indy 500, Chip was rumored to take over Doug Shierson’s #80 backup Domino’s Pizza March-Cosworth, but it never came to fruition. His time racing for the Fabcar American Racing IMSA Camel Lights and GTP team with friends Rick Grant, John Higgins, Howard Cherry, Tim McAdam and James King were some of his most successful runs in the sport, capturing numerous class victories in endurance events on the IMSA calendar. The Fabcar team, with Mead at the wheel, finished second in-class at the 1987 24 Hours of Daytona, and won in-class at Miami, Sears Point and West Palm Beach during the same season. In 1992, Mead started up Enterprise Aviation, Inc., in San Jose, California to fuel a career after racing. His Mom and Dad were both fliers, and Chip and three of his six siblings were also rated pilots. The business dealt with aircraft sales, leasing and management. At the time, Chip was living in nearby Saratoga, California. He was also working as a, in his words, ‘small-time real estate developer’ in St. Simon’s Island, Georgia. Even though his life had changed to the world of aviation, his memories of racing and those in the sport were never far away. 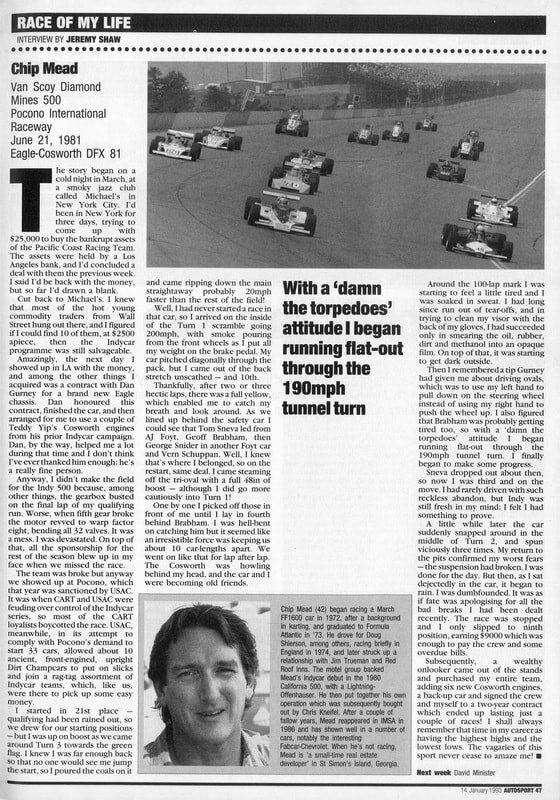 ‘Dan Gurney helped me a lot during that time and I don’t think I ever thanked him enough, he’s a really fine person,’ Mead said on his January 1993 interview about his Eagle-Cosworth, the car he used to drive what he called ‘the race of his life’ at Pocono in 1981. On the night of Wednesday, March, 31, 1993, Mead and three others died in a plane crash in Livermore, California. He was 43. Mead is best remembered by his family, friends and colleges as being full of life through his endless enthusiasm, determination and bravery. It can be said that Chip’s life positively influenced everyone he knew. 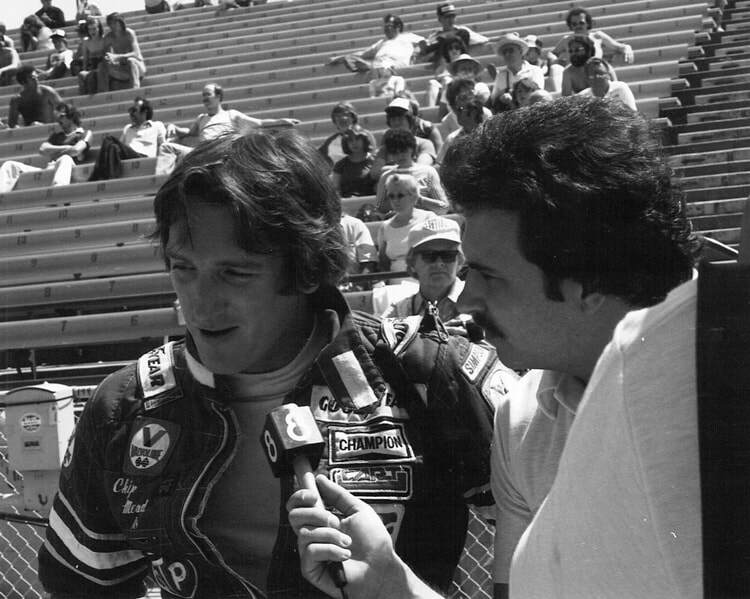 The next round for the Jamieson Racing Team in 1982 was at the Norton Michigan 500 at Michigan International Speedway on July 18. The team skipped the Cleveland airport road race in order to repair the damage that the car incurred at Milwaukee. Daniel ‘Spike’ Gehlhausen, a veteran of the Indycar circuit, drove #8101 for the team and qualified it 15th in the 34-car field. 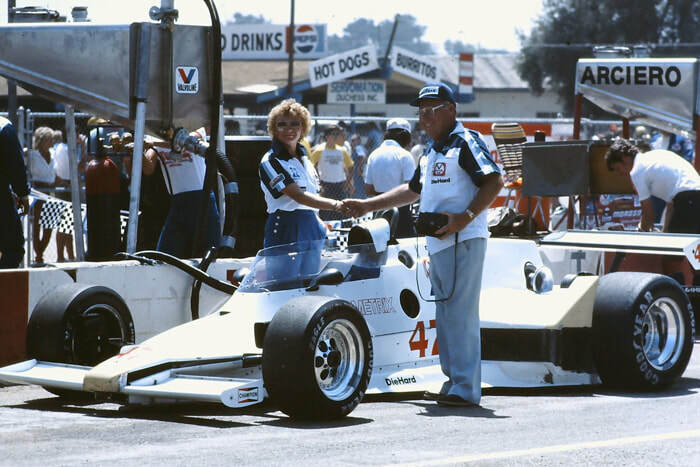 Gehlhausen had been a member of the Jamieson team at Indianapolis and Milwaukee; piloting the team’s #47 Penske PC7/79-Cosworth to two failed qualifying attempts. 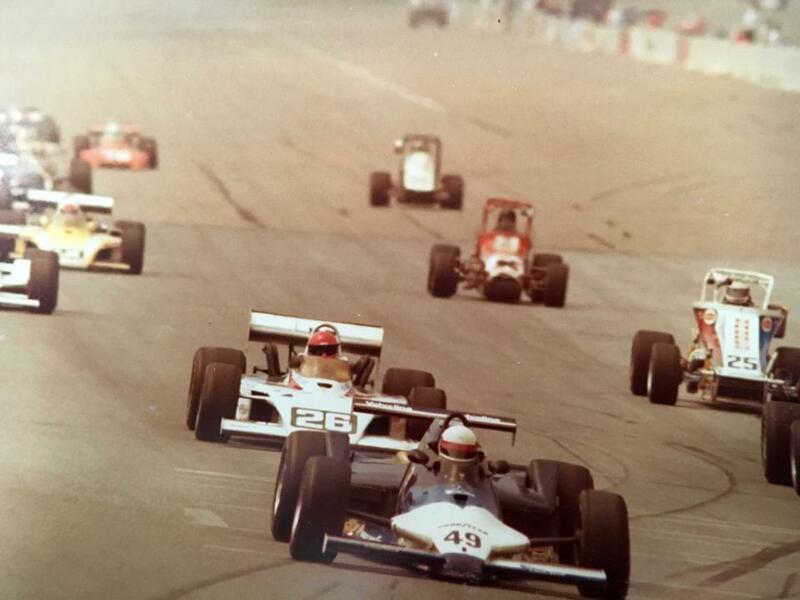 Gehlhausen’s 15-place qualifying position at MIS led the three ’81 Eagles in attendance. The Tell City, Indiana native put forth a hard-fought race until lap 127, when the shift lever broke following a pit stop, ending the day for car #49. He would be credited with a 23rd-place finish in his one-and-only race in Eagle #8101. On Tuesday, August 10, Gehlhausen was practicing for the upcoming Domino’s Pizza 500 at Pocono’s famed tri-oval. 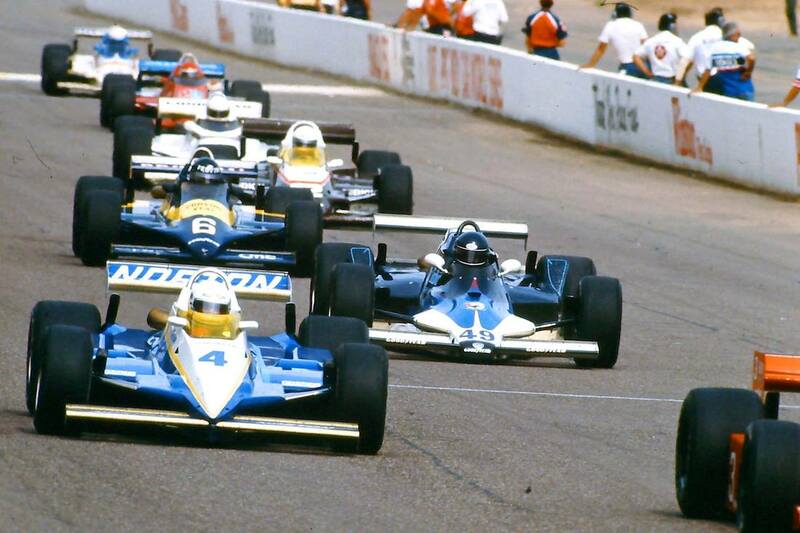 When entering the ultra-quick turn two section, a wheel managed to leave the Eagle, sending the 1979 Indianapolis Rookie of the Year hard into the wall. The car could not be repaired for the race that weekend. The Eagle then went through a massive overhaul, as the crash damage from the lost wheel proved a mighty expense on the small Jamieson outfit. Two weeks after the accident, the car was back at home in the southwest for the AirCal 500 at Riverside International Raceway, its first run on a road course, but not before a shake down at the Buttonwillow racing facility with its new driver. 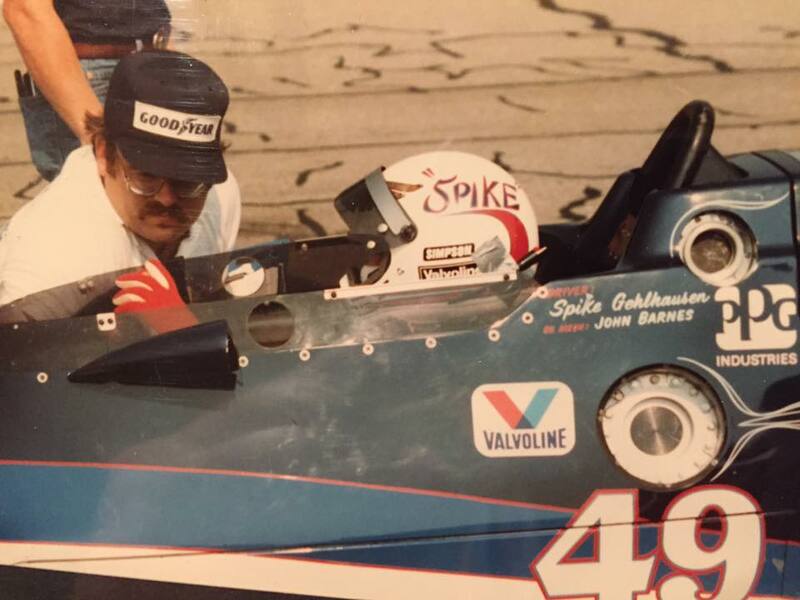 Chicago-native Chris Kneifel had been coming up the SCCA racing ladder for a relatively short time before he came to the Jamieson team that August. The previous fall, he was running a 1980 Tiga Formula Ford at the SCCA Runoffs and had a full season with Doug Sheirson’s Formula Atlantic team, and now a year later was in the most prestigious form of racing in North America. Kneifel’s frame stood 6’6” and was a tight squeeze in most cars he buckled himself into. Kneifel was so tall, in-fact, that he simply sat on the bare aluminum floor without a seat to try to lower him further into the narrow confines of the Eagle chassis. It wasn’t enough to ensure his body was fully within the cockpit, so the Jamieson crew had to add a 6” extension onto the roll hoop to keep their driver ‘within’ the car to help meet the CART rules. The August 29 AirCal 500 was a 313.5 mile, 95-lap endurance run around Riverside’s twisty 3.3 mile circuit. The makeup for the race proved to be a bit much for the CART regulars that day. Of the 28 starters, only four cars were running in the end. 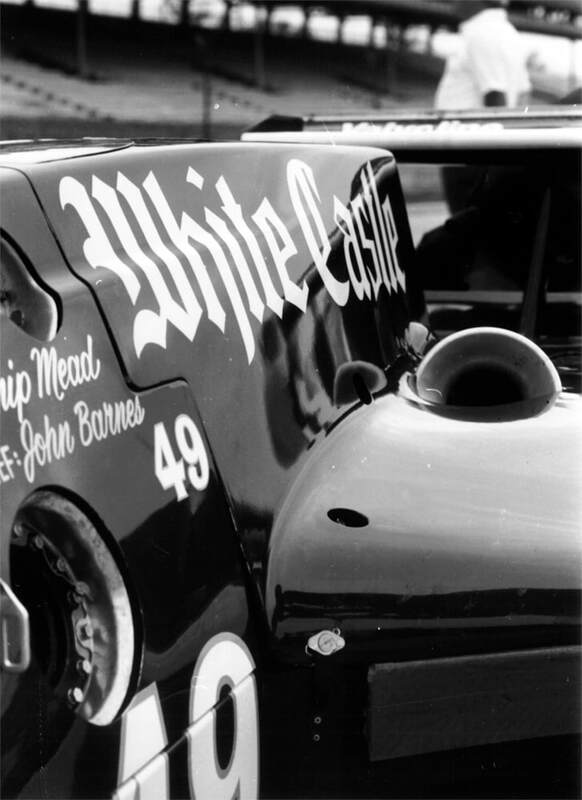 Kneifel’s debut showed promise, as the now renumbered #47 entry, which was repainted white, started 17th and steadily rose up the order. In the early stages, Kneifel caught and passed pole-sitter Kevin Cogan’s Penske PC10 while both were running in the top-10. Eventually, Kneifel made a rookie mistake and spun the car through Riverside’s dirt runoff. Both he and Cogan retired on lap 50, #47 with overheating issues, and Cogan with an engine failure. Despite only making it past half-way, Kneifel was credited with an 11th-place finish. Three weeks later, the car made its first run at Elkhart Lake, Wisconsin’s beautiful Road America circuit. Kneifel again did the wheeling duties for the September 19 Road America 200, and was sixth quickest in practice, run in wet conditions. Qualifying saw #8101 timed 19th quick in the 25-car field. 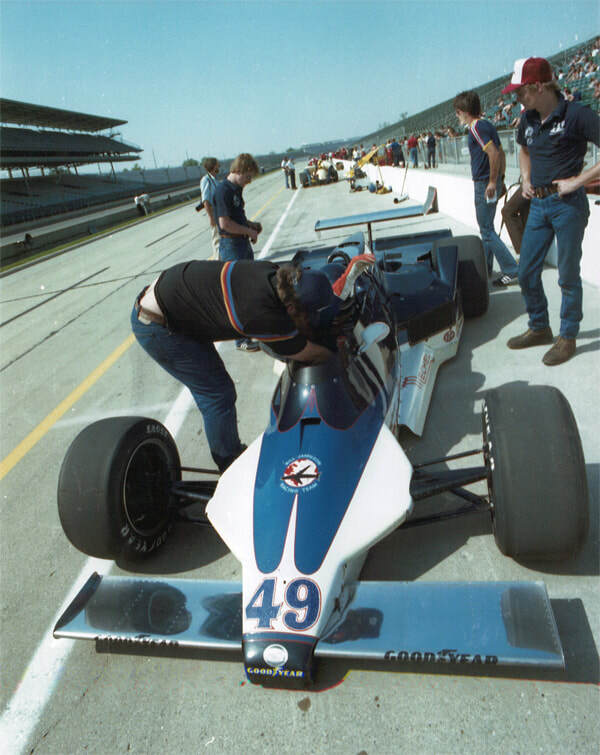 The Metametrix-backed machine only made it to lap four of the race before ignition troubles sidelined the entry, and Kneifel left the team to form his own Primus racing effort for the 1983 season. The Eagle remained sponsored by Metametrix for the season ending November 6th running of the Miller High Life 150 at Phoenix, and was repainted maroon-and-gold for another rookie to try his hand at CART championship racing. Overshadowed for much of his career by older brother Gilles, Jacques Villeneuve was in strange place during the ’82 season. The year had started off well for the then 28-year-old from Berthierville, Quebec. 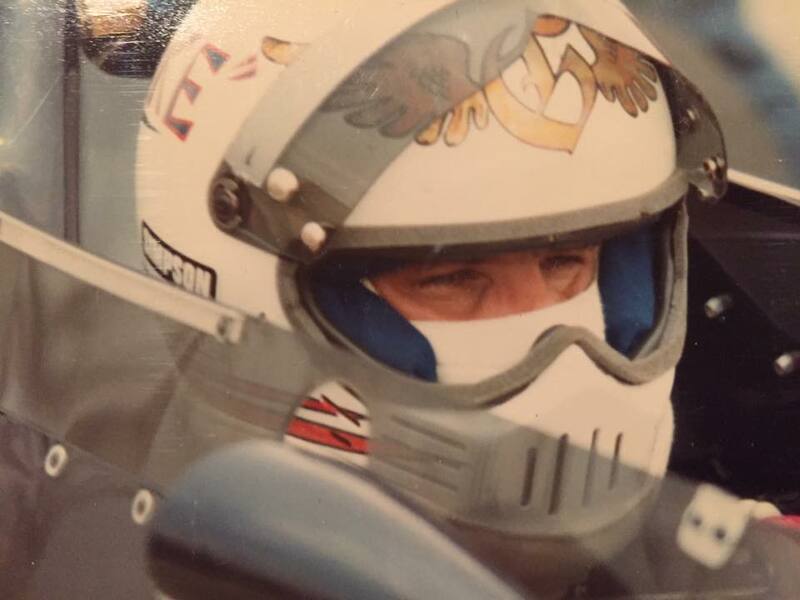 He won the SCCA Formula Atlantic title in 1980 and 1981 and began ’82 by returning to his roots and winning the World Championship Snowmobile Derby in Eagle River, Wisconsin. However, on May 8, his brother was killed during a qualifying session for the Belgian Grand Prix. 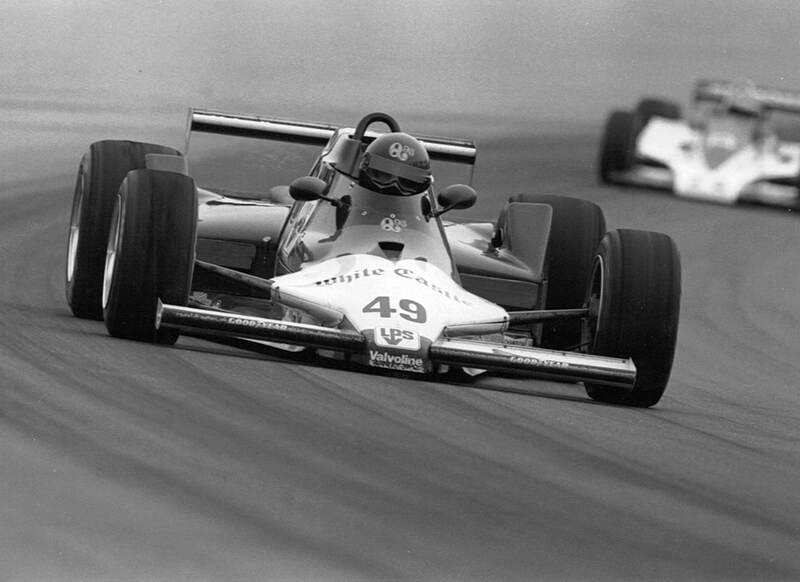 Within a month, Jacques was racing in the SCCA Can-Am Series, but had dismal results with an Osella/BMW. 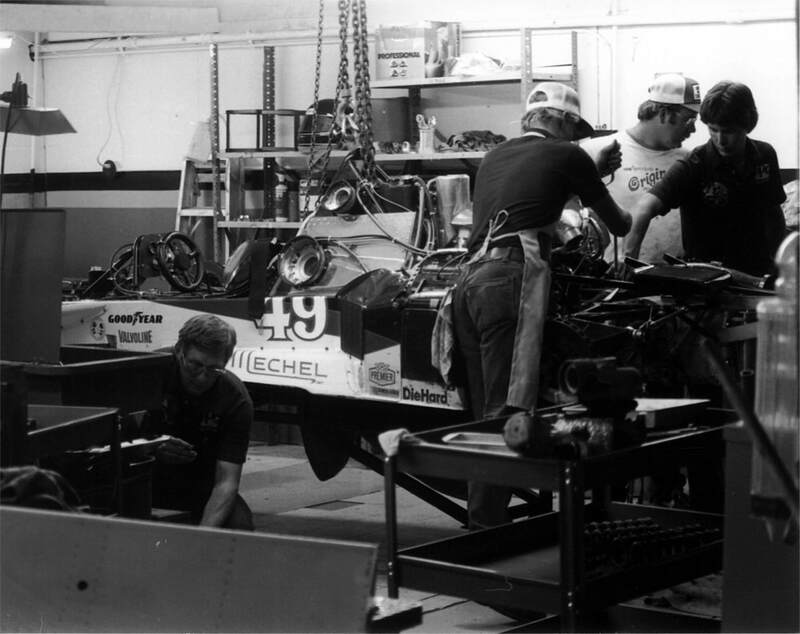 When Kneifel left the Jamieson team, it opened the door for his ’81 Shierson Racing Formula Atlantic teammate Villleneuve, who was testing the waters after a season in Can-Am that had been nothing but troublesome. 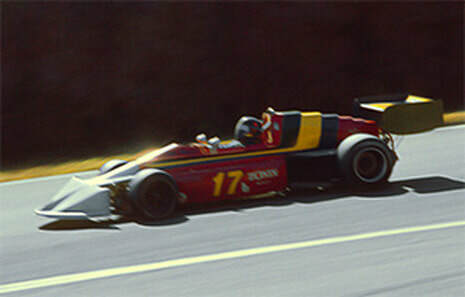 Unlike Kneifel, Villeneuve was so short that the team had to remove the windscreen. The car still retained its mighty-high ‘Kneifel Tower’ rollhoop, making the car look somewhat odd in the center section. It took a promoter’s option for Villeneuve to make the 25-car field, but it proved to be a smart move, as the #47 entry kept its nose clean for the 81-minute race. 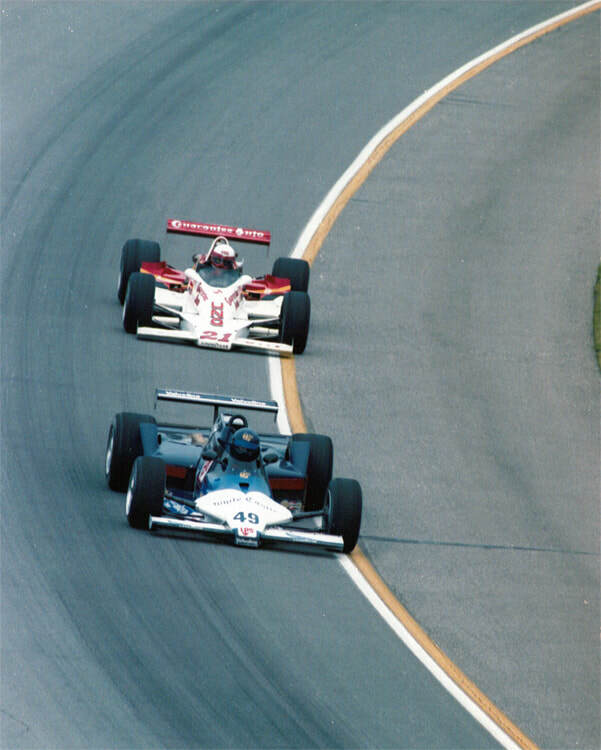 In the end, Villeneuve finished 14th of of the 17 cars running at the end, nine laps down to winner Tom Sneva. It may have been a somewhat insignificant race finish for the team, but it proved to be the last race run by #8101. For 1983, CART rules greatly restricted the tunnel and aerodynamic outputs that were key elements for the 8100 range of AAR Eagles. No longer were cars allowed to run the ‘duck tails’ that were the the main ingredient in keeping the cars glued to the ground. 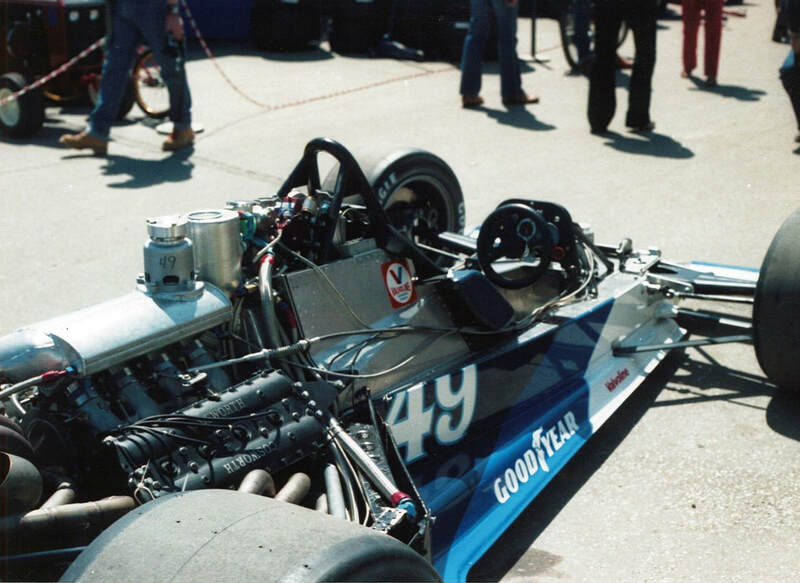 The team showed up at Indianapolis with Gehlhausen again piloting the #47 entry, but the car he drove was the team’s backup 8100 series Eagle, which was identifiable due to its standard non-Kneifel-heightened rollhoop. In a 2011 interview, crew member John O’Gara said the team wasn’t so interested in making the race as making sure Gehlhausen didn’t make a mess of the car, as he was known for doing at Indianapolis. The team then went to Riverside, where rookie Bob Ward practiced both Eagles in preparation for the August 28, 1983 L.A. Times Budweiser 500. Ward was a SCCA Formula Super Vee driver who was also a California Racing Association sprint car regular, hailing from nearby Santa Ana. Ward practiced #8101, but chose to race the team’s other car, fresh of a DNQ at Indianapolis with Gehlhausen. The transmission failed after seven laps and Ward was credited with a 26th place finish in his one-and-only CART start. Ward and the team ventured to Las Vegas and Phoenix for the final two rounds of the season, but did not qualify at either aboard the the team’s other Eagle. 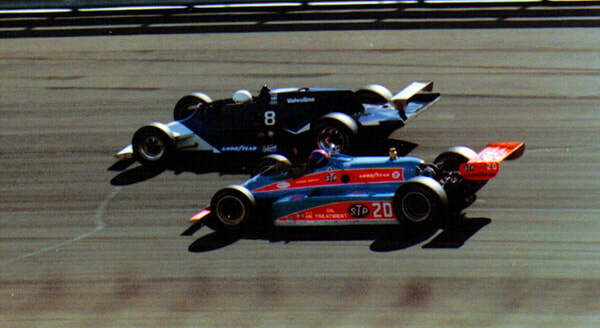 At Phoenix, Ward spun on pitlane in practice and injured three crewmen from Jim Trueman’s team, who ran Bobby Rahal. It would have been a bad story had the most severely injured Trueman crew member not met his future wife at the hospital, as he fell for the nurse taking care of him. 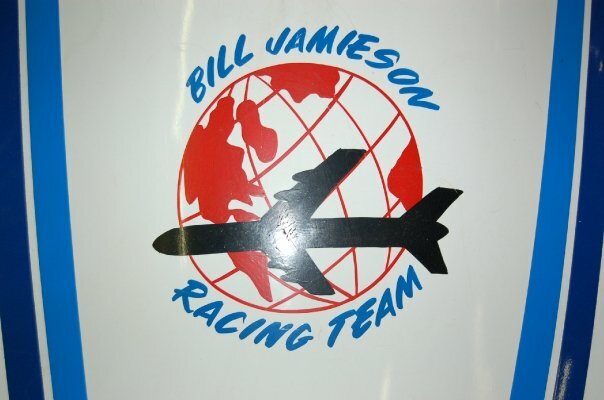 At the end of 1983, Jamieson Racing disbanded, as Bill Jamieson’s dream of making the show at Indianapolis was not to be. While it can be said that Jamieson’s team did not have the results that equaled his enthusiasm for the sport, it did allow three drivers a chance to start their CART IndyCar careers. 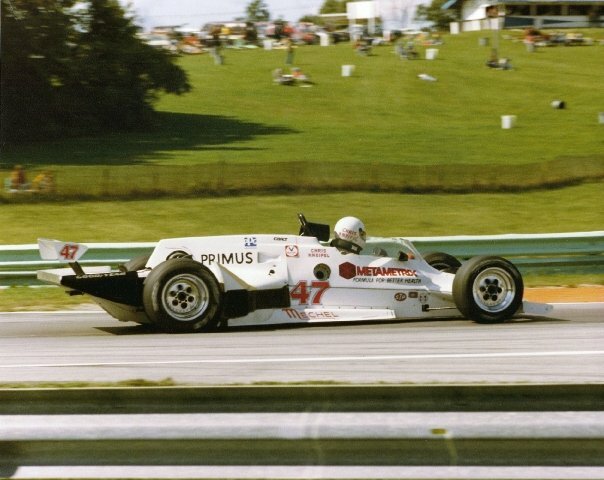 Villeneuve went on to win the 1985 Road America 200 for the Canadian Tire team and Kneifel raced through 1984 before severe leg injuries restricted him to endurance and sportscar racing. Jamieson died in 2001 at the age of 83, but left a legacy of determination and hard work that many can aspire to. After 1983, AAR Eagle #8101 was sold to an unknown individual in Southern California. Along with two of the Jet Engineering Eagles, #8101 was involved in a drug deal gone-bad in California in the late 1980s. The car was seized by the government, and was later identified by AAR crewman Mike Lewis as the former Jamieson car. Fast-forward to the mid-1990s, the car was purchased by a fellow in the Northeast who also found his way into prison shortly after having the car partially gone-through by road racer Lou Rettenmeier. Bill Goodridge of Connecticut purchased the car as an investment in the late 90s and kept it in a shed until 2008, when he placed an ad for the car in Hemmings Motor News. The KMPR team visited Goodridge in June of 2008 to see the car. While it was in rough shape, it showed signs of hope, and its history was easily recognized by the team. A deal was struck and the car was loaded up during a torrential downpour on July 4, 2008. In the years that have passed since that date, the team has painstakingly researched and restored Eagle #8101 to original condition in every way possible. 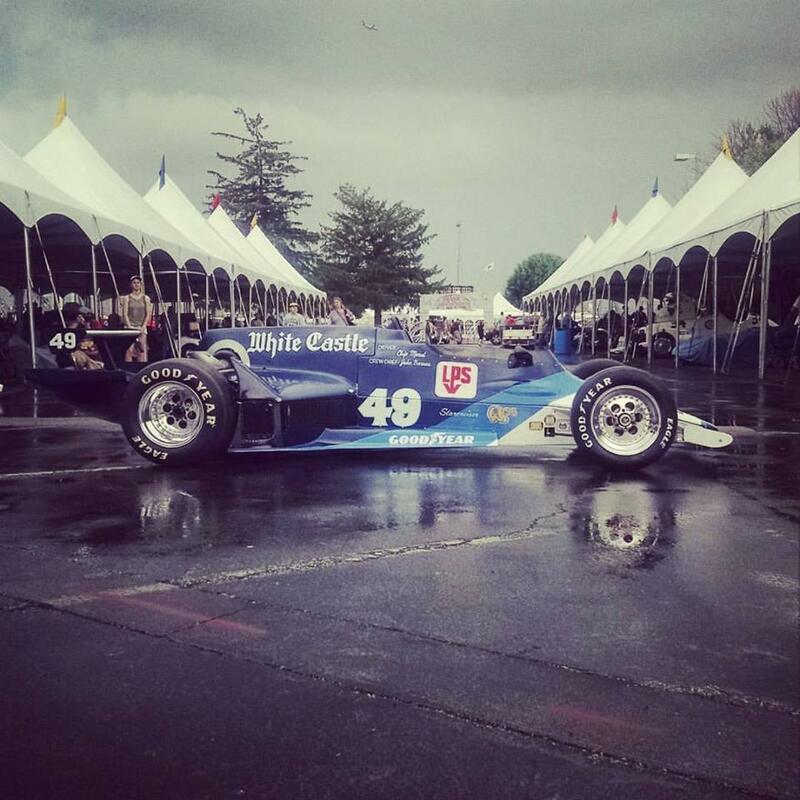 LPS Laboratories, who backed Mead’s 1981 Indianapolis effort, was very generous in sponsoring the car’s restoration, and it is with great pride that we can say we are associated with such a great organization that values the legacy of AAR Eagle #8101 and the ties it will always have to the car’s beginning. The preceding story of individuals who may not have won everything in sight fits right in with the KMPR crew, as we are always rooting for the underdogs whose character weight means more than the trophies lining the shelves. The restoration and presentation of 1981 All-American Racers Eagle #8101 is in memory of the two men who gave it life, Chip Mead (1950-1993) and Bill Jamieson (1918-2001).